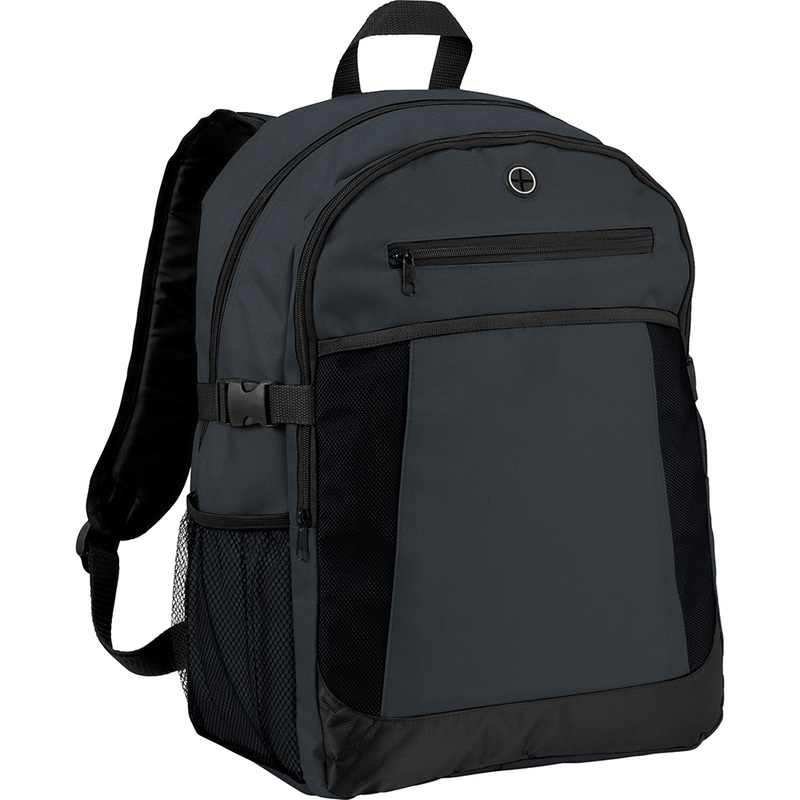 Large zippered main compartment featuring dedicated laptop sleeve which can hold up to a 15'''' computer. Double buckle closure for added security and design. Front slash pocket featuring an earbud port. Large front slash pocket with mesh accents. Two side mesh pockets ideal for your water bottle. Padded, adjustable shoulder straps. Top grab handle. Main compartment capacity is approximately 24 litres.